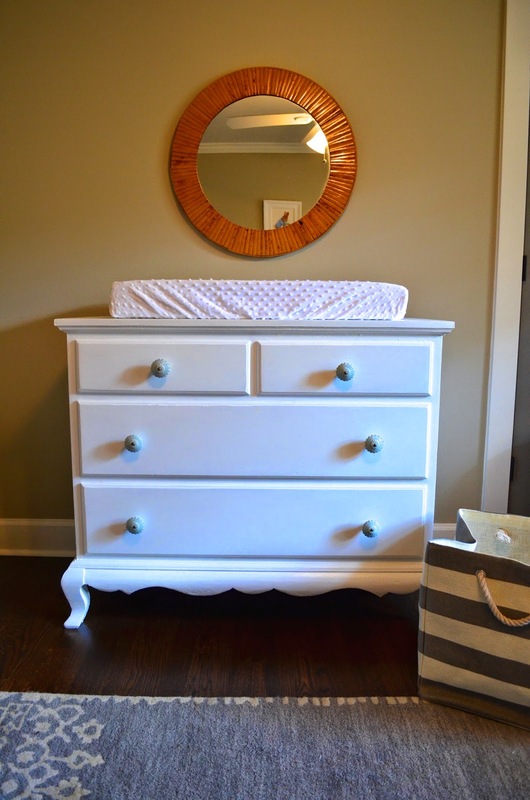 When planning this nursery, we didn’t know if there would be a prince or princess to come home to it. 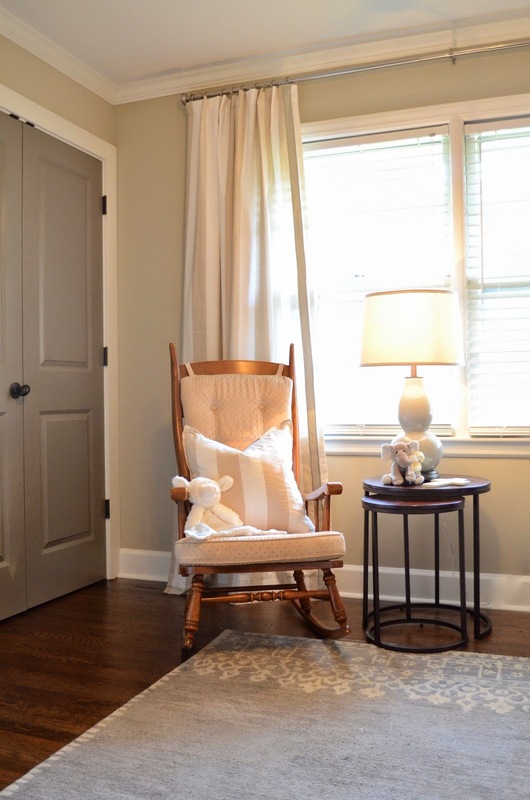 Since the parents to be, some of my best friends, wouldn’t be finding out what they were having, we decided on a color scheme of pretty, soft neutrals: creams, whites, grays, and oatmeals. A scheme that could easily be accented with pink or blue once they were all home from the hospital. And it’s just as pretty and soft as she is! 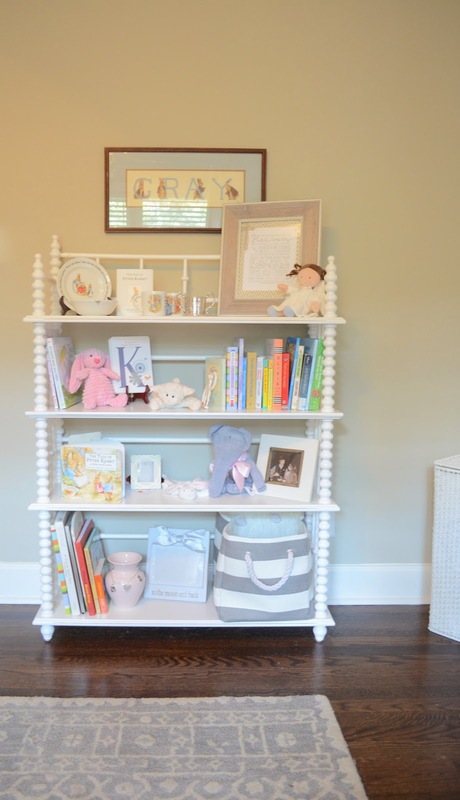 A traditional white spindle shelf now holds those precious baby things…books, antique silver cups, dolls, and frames. 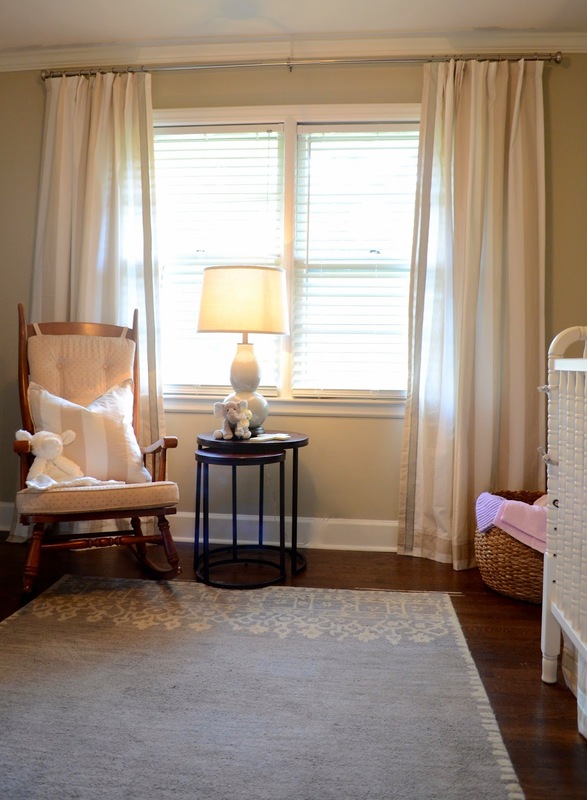 Beautiful Beatrix Potter paintings – painted by baby girl’s talented maternal grandmother – hang over the sweet white crib.